Google Developer Group’s biggest development conference in Brazil is here! November 17, 8:00am to 7:00pm in Maceió, join world-class speakers and tech experts to hear discussions on the latest trends and themes in the world of development. Toptal is proud to sponsor this conference and to have two speakers taking the stage. 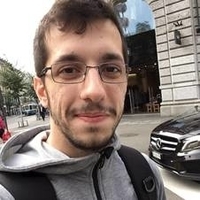 At 11:00am, Felipe Bernardes, a Toptal developer and Community Leader for Sorocaba, will present a talk titled Immersive Journalism using AR and VR. At 5:00pm, Toptal developer Amanda Vilela will present PWA Beyond Theory - How to Create Your Progressive Web App. For more information and to get tickets, please see the official website. Your message to Felipe was sent.